The holiday weekend has given me a little extra time to go through images from last summer’s midwestern road trip—including the Hall of Heroes Superhero Museum. Before much more time passes I thought I should get images up on my Flickr feed and at least make a short post here. The museum is located in a two-story structure behind the owner’s home in the outskirts of Elkhardt, Indiana. It is not just any structure, but built in a form of the Hall of Justice—instantly familiar to anyone who remembers the classic Saturday morning cartoon show The Superfriends. The museum does not appear to have regular hours, but calling ahead I found the owner to be very willing and flexible to opening for interested visitors. On the day we arrived he welcomed us, shared a few highlights of the collection and then left us to look around at our own pace while his son sat at the front desk. The Hall of Heroes collection is massive. The two floors are home to thousands and thousands of comic books, hundreds of shelves packed with superhero action figures, comic book art, cartoon stills, props, and dozens and dozens of other superhero related objects, memorabilia and collectibles. 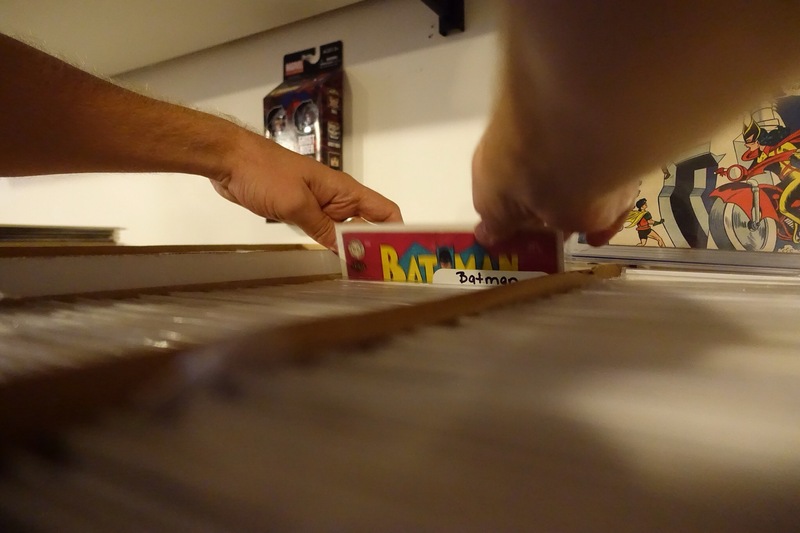 Sections of the collection were broken up into shelves dedicated to specific heroes like Superman, Batman, Aquaman, The Green Lantern, Wonder Woman and others. Some of the highlights of the collection include the original Batman costume worn by Adam West in the 1960’s Batman TV show, the costume worn in the 1980s ABC TV show The Greatest American Hero. There is a Captain America prop shield from the recent film The Winter Soldier. There are signed objects by Stan Lee. 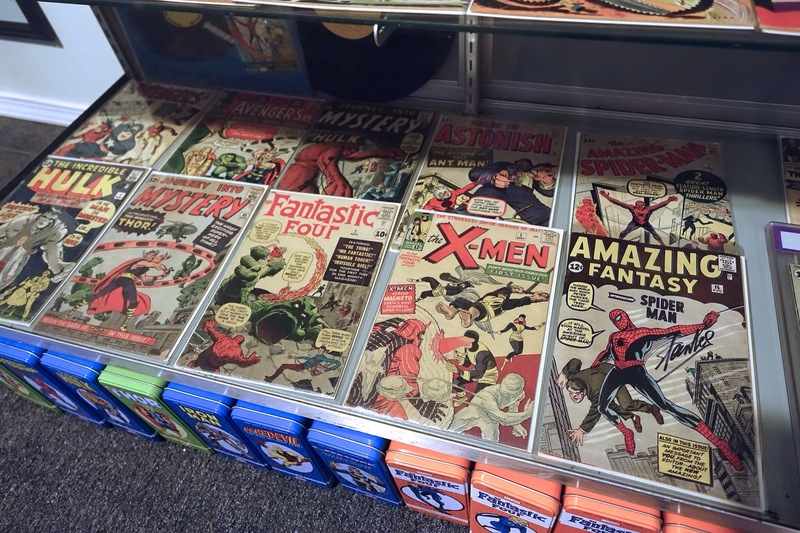 The most interesting collection for a comic book collector, however, is the case of comics with first appearances of some of the most well known heroes. As a former comic book collector, just looking into the case made the teenager in me jump up and down at the sight of the collected first editions. The case contained the assembled first moments that those heroes emerged into this world. For over an hour and a half we waded through shelf after shelf of figures and collectibles—many thousands of them. I took some time to comb through boxes of comics to locate particularly memorable issues from my own childhood. I also hunted down some of the action figures and toys that I once owned. The Hall of Heroes is clearly a labor of love—the love of a collector who wants to share all he has collected with those for whom the objects have meaning. As a former comic collector, action figure owner, and someone who is of the same generation as the owner, the objects in the collection spoke to me. 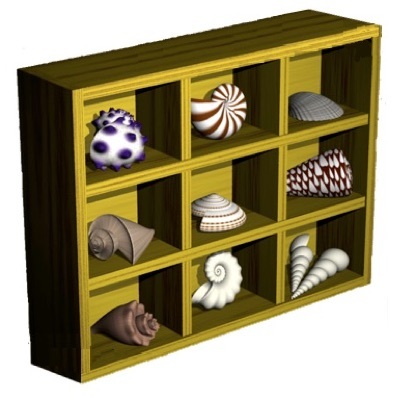 I had personal memories of many of the objects and was familiar with the contexts for making sense of them. For this reason I got great pleasure at seeing Batman’s costume, or discovering action figures of Rom the Spaceknight or The Six Million Dollar Man among the collection. I crouched in front of the collection of first-appearance comics for some time just imagining the power of those little paper books have had on the shaping of American and global popular culture. The thousands of objects work together to evoke other worlds both of superheroes and of the past childhoods and fantasies of the visitors’ own youth. The Hall is truly an ark of magical objects in a mundane, everyday world. It is as if the sheer multitude of the collected heroic objects could conjure up and make those other worlds real. Thinking about the Hall of Heroes as “an ark” recalls that the first public museum, the Ashmolean, started with a large collection of curiosities made by a father and son. It had been a private collection made public. Like that first museum, the Hall of Heroes exists in a space that is neither entirely private nor public. As a collection of curiosities it requires the collector’s presence—or a knowledgeable viewer to explain its meaning. The Hall lacks interpretable labels, text panels, maps, or other texts common to museums that might provide a narrative to the objects. In this sense it is less accessible to visitors that do not know about superheroes. The collection does not explain or provide context for the objects, but presents and makes them accessible to visitors. It is primarily a destination for those who already know or remember—who understand, negotiate and find what they are looking for among the many, many things in the collection. And, what a collection it is. If you find yourself near Elkhardt, Indiana it is worth a stop to see all of the amazing things collected there.